I lead the firm's dispute resolution, civil litigation and commercial mediation practice. I am well known for handling judicial review cases and challenging the decisions of public bodies. The litigation I handle is complex in nature and is undertaken for companies of all sizes, owner managed businesses, educational institutions and private individuals. Many of my cases involve international issues. I am a mediator with a success rate of over 90% in settling disputes. I am a Member of the Executive of the Commercial Litigation Association, the Professional Negligence Lawyers Association, the International Bar Association and the Institute of Directors. I am a trustee of a number of charities. I enjoy sport, especially tennis and football, and history. David Foster is an experienced litigator who acts for both corporate and private clients. He is capable of handling cross-border mandates, and is lauded by market sources who describe him as a "very approachable, very friendly lawyer who provides excellent advice and is very thorough." 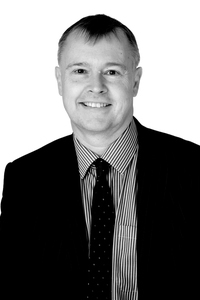 David Foster is a respected dispute resolution practitioner and mediator who specialises in professional negligence and judicial review. "He's commercially astute - he handles the client well while also thinking of the commercial context", notes one impressed interviewee. David Foster has excellent commercial judgement and knows intuitively when a case is a winner or a loser. "A 'good litigator, wise, pragmatic and sensible'."